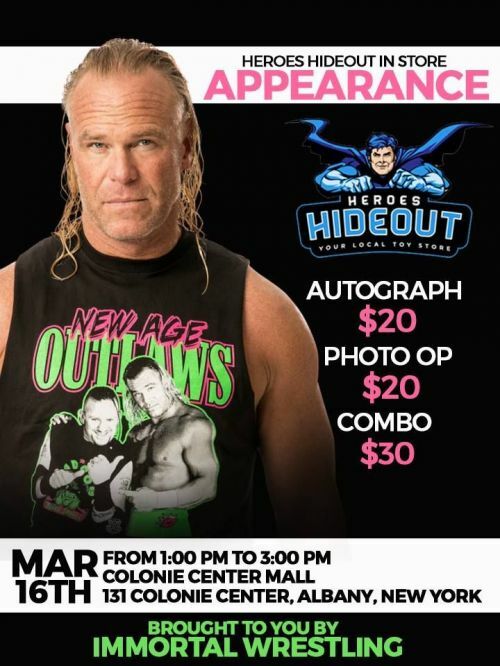 On Saturday, March 16th AEW Head Coach Billy Gunn participated in a meet and greet at Heroe's Hideout of Albany, New York. Also at the meet and greet was recently released WWE Star The Perfect Ten Tye Dillinger. On February 19th of this year, which was also his birthday, Dillinger announced on Twitter that he asked for his release from WWE. On February 22nd, WWE granted him his release from the company. Once the release was granted, Dillinger changed his ring name back to Shawn Spears, the name he was using when on the independent scene. Since his release, Spears also launched shirts on prowrestlingtees.com. Interesting enough he has a shirt "Live For Revenge" that is in AEW colors. AEW is a hot talk in the wrestling world right now. This meet and greet leads fans to believe that Shawn Spears aka Tye Dillinger could be headed to All Elite Wrestling. Between the "Live For Revenge," shirt in AEW colors, deleting Tweets back in October with The Young Bucks Matt Jackson, and this meet and greet alongside AEW's Head Coach Billy Gunn, fans have been reading the underlying messages that Shawn Spears will appear in AEW. On March 1, 2019, Spears announced on Twitter that he will be accepting bookings on the independent circuit starting May 31. The meet and greet is the first appearance for Spears since his release from WWE. AEW's Double or Nothing is scheduled for May 25th. This confirms that Spears cannot participate at Double or Nothing. However, only time will tell where Spears will go once his 90 no-compete clause is up.